VAUDREUIL, September 4, 2014 - Check Mate! September 4, 2014 - Chris Milligan & David Smith present copies of Checkmate! 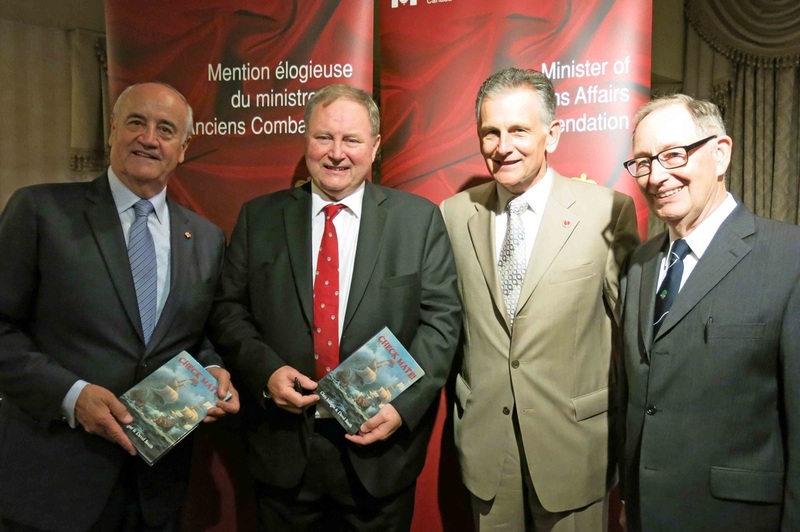 to The Honourable Julian Fantino, Minister of Veterans Affairs, Canada and Senator Larry Smith at a ceremony where Milligan received The Minister of Veterans Affairs Commendation for help in co-developing with Wes Cross the McGill Remembers Project.